Latitude Flight Data Analytics is our web-based flight data monitoring system. LFDA offers configurable graphical presentations of flight data from aircraft equipped with Latitude’s IONode ION2, ION3/3A, or ION4 FDM system. LFDA users are able to view data from past flights as well as the most recent flight and can set event thresholds to report exceedances on a real-time and post-flight basis. Per aircraft subscriptions with no user limits help keep costs down and give all your stakeholders access for individual analysis. 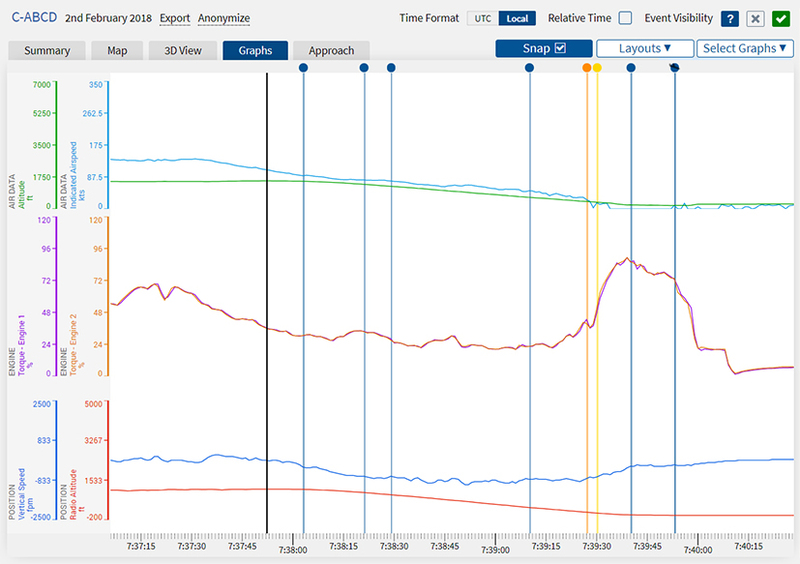 LFDA provides valuable flight data performance and trending analysis – when, where, and how you want it. LFDA is an effective tool for your FOQA, safety, maintenance, and other fleet operation programs. Latitude Flight Data Analytics supports multiple customer-authorized concurrent users. Authorized users access the dashboard via username and password set by the customer’s LFDA administrator. All users have the same level of access to the LFDA dashboard. Users are able to access from the Latitude corporate website or from the dedicated LFDA home page. The Latitude Flight Data Analytics dashboard is capable of displaying more than a half-dozen sets of flight data simultaneously. Each concurrent user has the ability to set up individual flight data graphical presentations, arranged by the user to achieve the user’s preferred analytical perspective. Users are able to view data from earlier flights as well as the most recent flights. 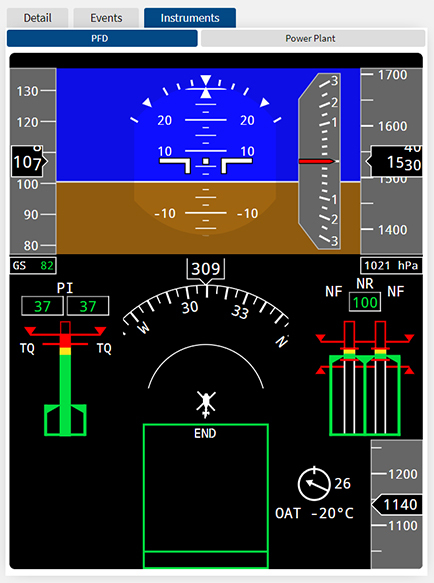 The user has the ability to put each flight in context – both on a map display and using LFDA’s animated playback feature. As well, users have the ability to download flight data in Excel, CSV, and other formats. Exceedances and other events are flagged in the aircraft’s LFDA data presentation for immediate scrutiny by users following the operator’s standard operating protocols. We work with each customer to set event thresholds specified by the customer and to add additional sensor-based flight data parameters, based on the IONode device configuration specified by the customer for installation by Latitude’s FDM specialists. For IONode FDM customers using in-house flight data analytics tools and third-party analytics service providers, Latitude offers automatic flight data forwarding to one or more customer-authorized data recipients. Latitude Flight Data Analytics and IONode Flight Data Forwarding are sold exclusively by annual, renewable subscription. Subscriptions are per IONode device and per aircraft. For Latitude Flight Data Analytics and IONode Flight Data Forwarding service activation, contact our activation specialists at 1.888.966.5599, 1.250.475.0203, or activations@latitudetech.com. Data collected by and reported from the IONode device is not to be used as primary reference data for any form of airworthiness decision-making about the aircraft on which the IONode device is installed. The data is only to be used to alert the aircraft operator of a possible operational condition that the operator may wish to investigate. Latitude Technologies disclaims any liability of any kind, including but not limited to direct, indirect, incidental, consequential and special damages that may have been caused by or in connection with the use of data collected by and reported from the IONode device for any purpose other than post-flight analysis. LFDA’s Instrumental display can be located on the left-hand side of the main screen.